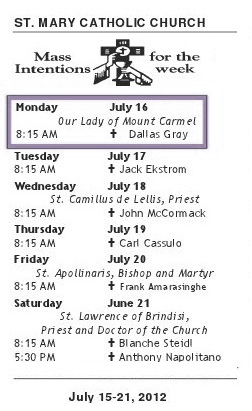 A Mass was graciously offered for Dallas on a warm blue sky Monday morning, July 16th 2012 at the beautiful St. Mary Catholic Church in Fort Walton Beach, Florida. 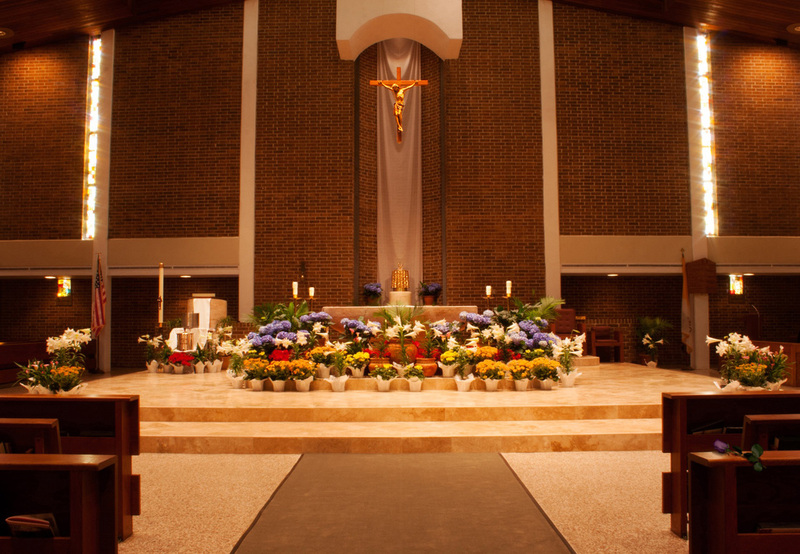 This is the church where Dallas' mother and father were married by Father Patrick Cunningham. St. Mary's Pastor, Reverend Monsingor Michael A. Cherup gave the Mass, offering a prayer for everlasting life and joy with the Father for Dallas and those who have passed on. Many of the St. Mary faithful were present to commune and offer their prayers along with family and friends of Dallas. 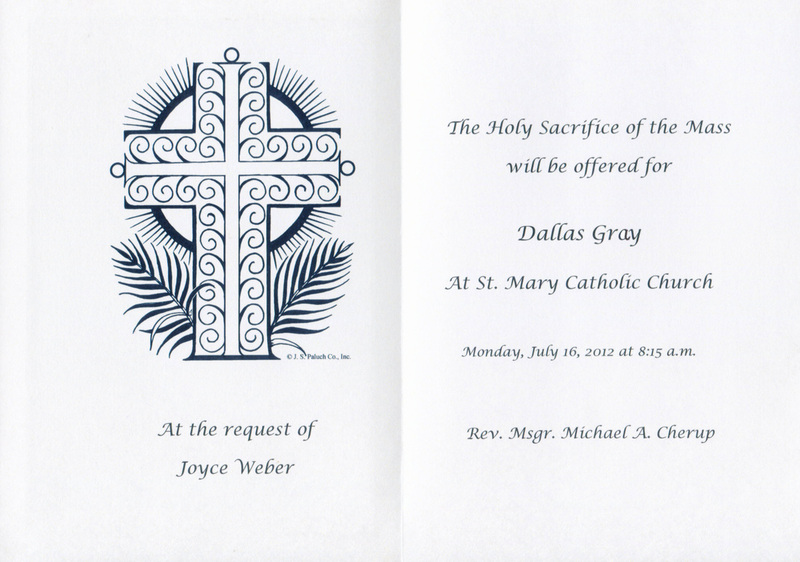 Thanks to Joyce Weber for requesting this Mass for Dallas. 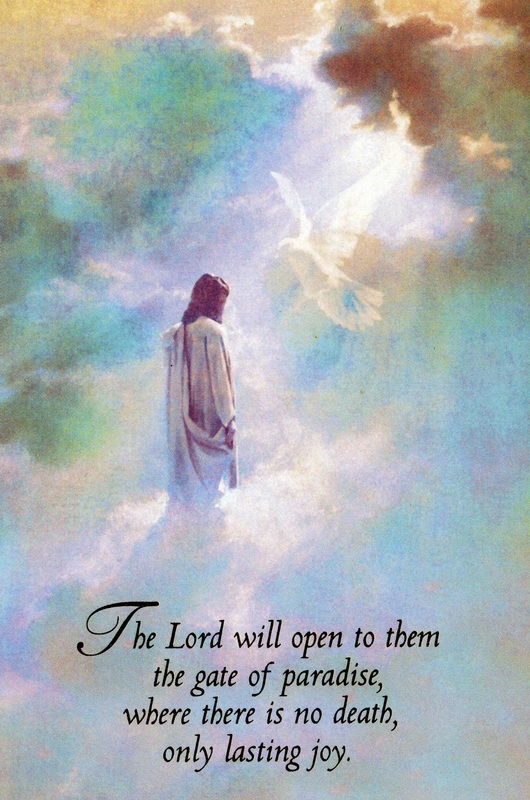 It was a great comfort and blessing to all. "When we face the death of someone, even a person who is not Catholic, to have a Mass offered for the repose of his soul and to offer our prayers are more beneficial and comforting than any other sympathy card or bouquet of flowers". Mass which benefit one’s soul". from an article titled "Mass Intentions"